Starting early for NEET, like in 8th, 9th or 10th class, doesn’t mean you have to study NEET level concepts and topics. It’s more about learning time management, discipline, following a routine, and clearing basic concepts well. How to Prepare for NEET From Class 8, 9 and 10? Work on your calculations in terms of accuracy and speed. Try to be accurate as well as fast. This needs practice. You need to improve your analytical skills. Try to solve same problem with different methods. Solve puzzles and riddles. Build your concentration in studies. Start a habit to study every day. With time you will be able to study for long hours without losing focus. Give up mugging and lay emphasis on learning concepts and applying them on problems. If you are starting NEET preparation in class 8, you have 5 years in hand to prepare for NEET. You can continue reading your school textbooks (NCERT preferably). If you join a NEET foundation program in class 8, the teachers will teach you all the prerequisites before studying NEET syllabus. You will get extra material that helps in clearing your basic concepts and you can practice questions.The material is prepared in such a way that it will cover your school preparation and you’ll be able to learn topics and chapters in more depth. Make sure you study to understand the concepts, not just for getting marks. It’s a practice that every student should adopt from very young age. Class 9 and 10 clears your base for Physics, Chemistry and Biology, which will help you in class 11 and 12. Read your Science and Maths subjects very carefully. Try to understand things from core. 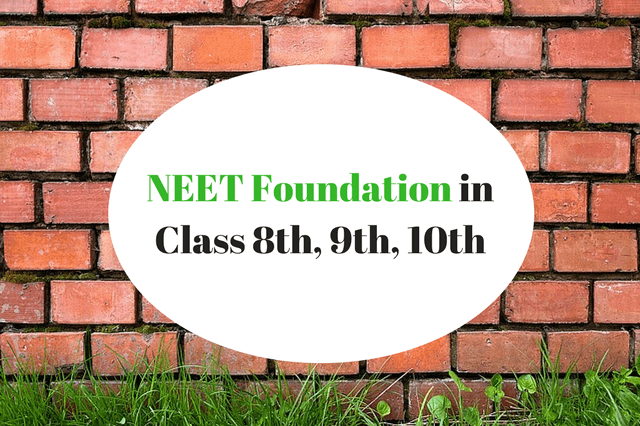 If possible, join a NEET foundation course for class 9. Your teachers will give you the right direction & support that helps in developing your skills quite early in your career. Clear your concepts regarding the topic. Learn to solve MCQs (Multiple Choice Questions). It will help you in managing time. You can prepare for Olympiads like NSO (National Science Olympiad) and IMO (International Maths Olympiad). For class 10, again, focus on your school syllabus. Understand concepts of Physics, Chemistry, Biology, and keep solving problems. You can apply for different Olympiads and exams like NTSE where you develop competitive skills that will help you in your NEET Preparation. For class 10 students, a foundation course for NEET will be handy, where objective is to create strong foundation for NEET along with boards preparation. Practice more and more MCQs from foundation material. 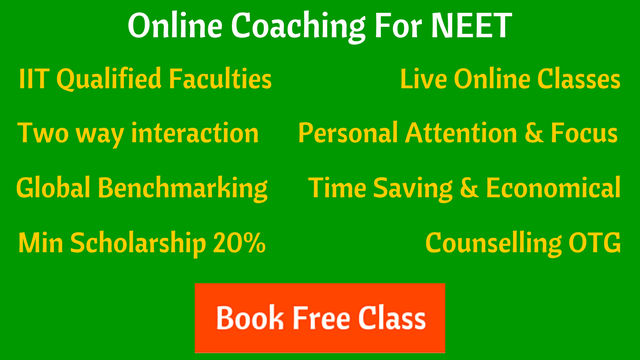 If you join foundation coaching for NEET then you don’t have to think too much, just follow the classes and keep doing homework/assignments on time. When you start preparing NEET in class 8, 9 or 10, you are always a few steps ahead of most of your competition. Build a strong foundation that will help you in last 2 years NEET preparation in class 11 and 12.